Our solutions deliver efficiency, scalability and high ROI overall. They are designed for Established Mid-sized/Large Travel Companies that have their own XML API/direct contracts with suppliers and a sizeable budget for technology. Our solutions start from $10,000/year. Pricing: One-time Setup Fee + Annual Subscription (Or Per Transaction Fee). Note: This list is subject to change. Please talk to one of our sales representatives for the latest info. If you shop around for online booking solutions, you’ll find that most Travel Technology providers charge a transaction fee on the bookings made through their system. This can be in percentage terms or a fixed amount per booking. This transaction, or per booking fee varies from provider to provider. Below is a table that illustrates the amount of money clients have to pay their software providers annually in the form of this booking fee. Higher the number of bookings, the more money you will have to pay the vendor. This can amount of tens of thousands of dollars each year and can severely hurt your bottom line. We at TravelCarma charge our clients ZERO transaction fee, allowing them to scale their business without having to worry about incremental software costs. We just charge a fixed monthly subscription with no hidden or variable costs so you can concentrate on your core business rather than worrying about the software costs. 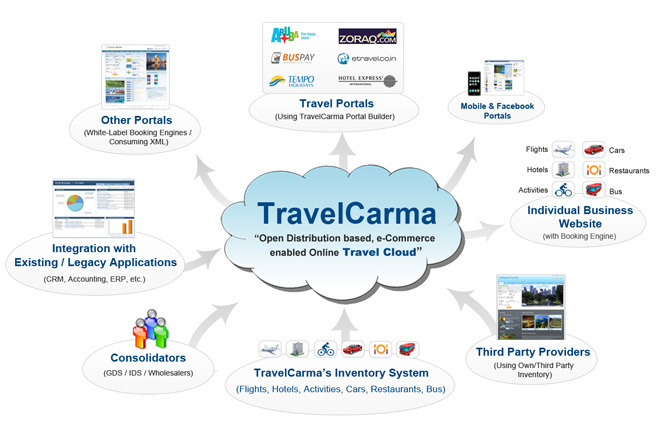 Fill out the Inquiry Form or contact us on sales@travelcarma.com for more information on the plans and the pricing.